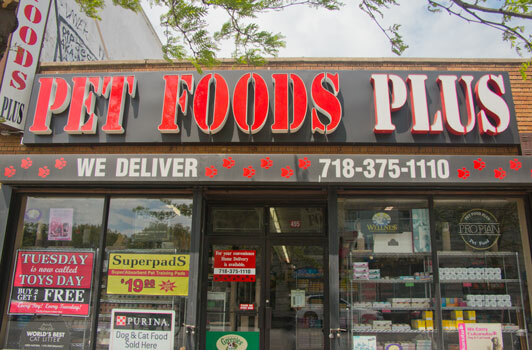 With over 50 years of combined experience in the pet food industry we are proud to share our knowledge with our loyal and future customers in our flagship store, which has been family owned and operated since 1988. You are invited to come in or call for any behavioral or dietary advice you may need about your pet or food. Our vast selection of toys, foods, and supplies can be picked up or conveniently delivered directly to you. Not only do we deliver throughout Brooklyn but after the devastating loss of our Staten Island location in Super Storm Sandy we continue to do home deliveries throughout all of Staten Island as well!